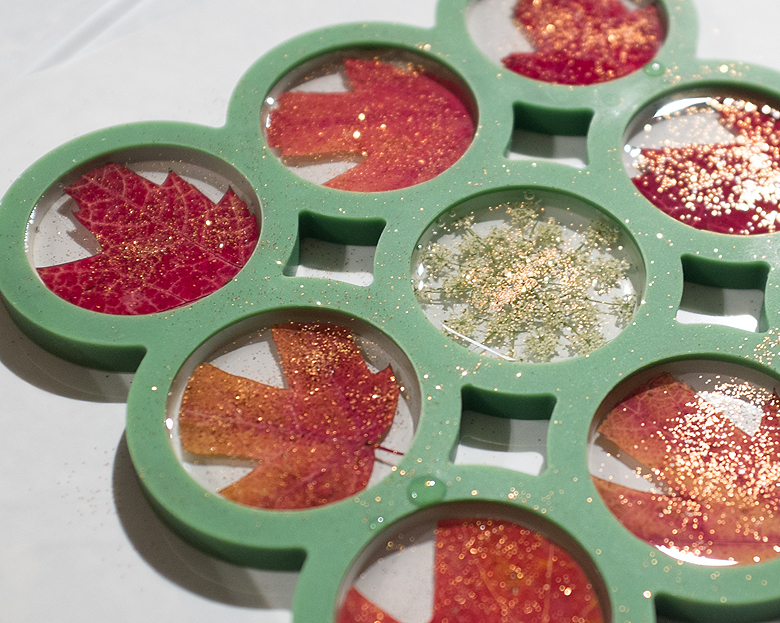 Of course, resin had to be an installment in my holiday-related crafting tutorials, and I honestly think they’re the prettiest ones yet (I’m biased though!). Tito and I made these for our vets, to thank them for the awesome care they have shown our diabetic kitty this year. 1. Peel the non-adhesive side off the contact paper and lay it down, sticky side up. Place the trivet down on the paper and press firmly to create a seal. 2. 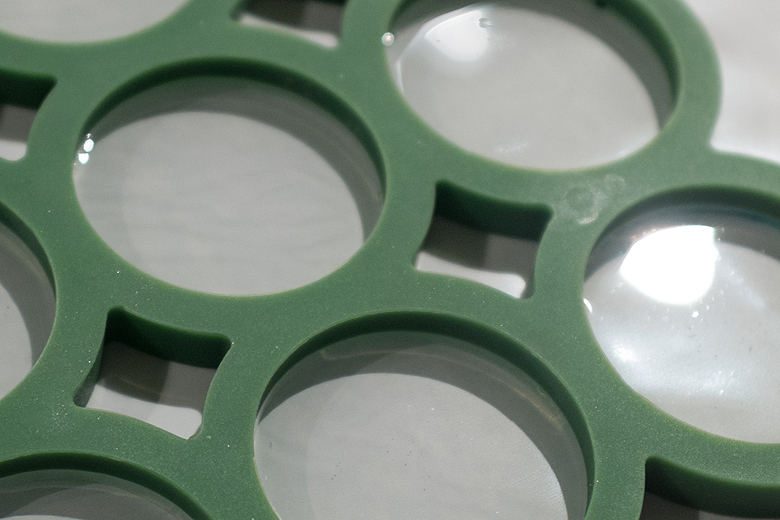 Mix your resin and pour a 2mm thick layer of resin into every circle. 3. 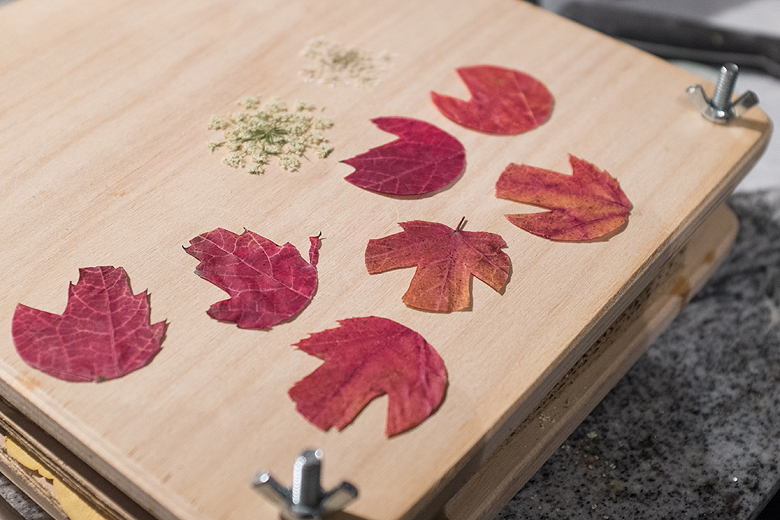 While that layer is curing, cut out your autumn leaves into shapes that will fit into the trivet. To get the sizing right, I made a template out of paper by tracing the shape of the trivet and cutting it out. 4. 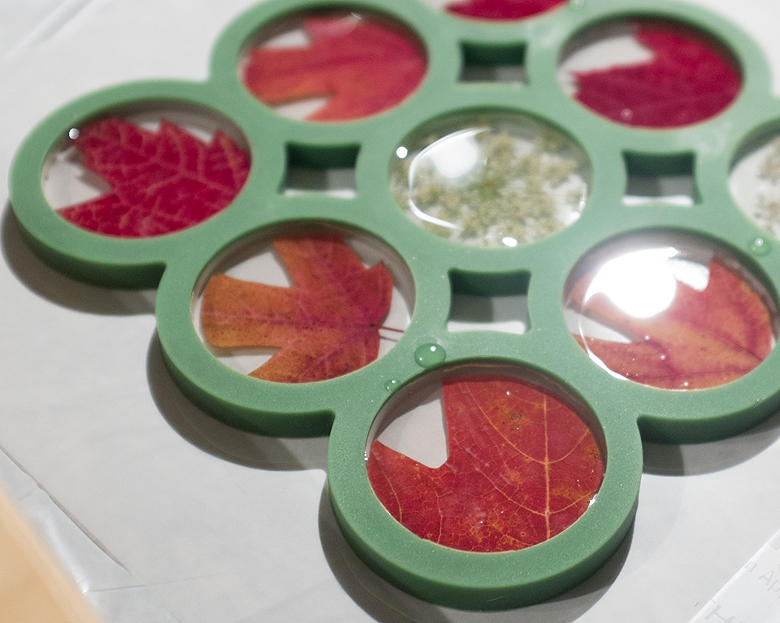 When the first layer of resin is about 2-3 hours old, press the leaves gently down into each circle. 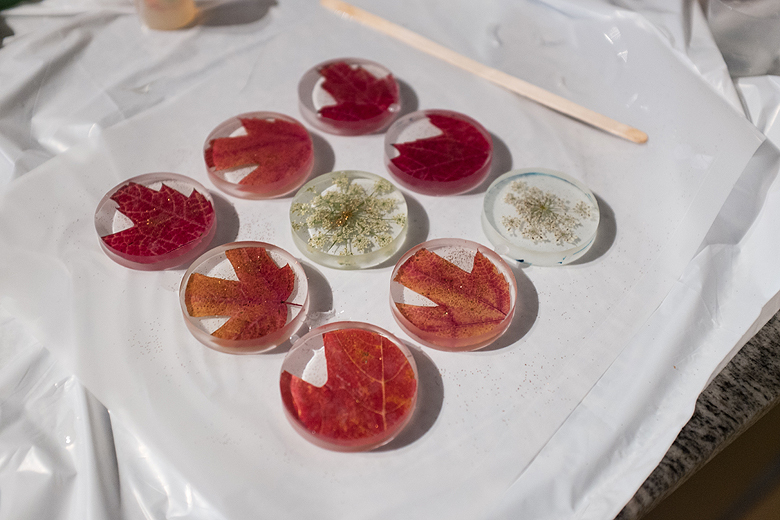 Mix up another batch of resin and add another layer, just 1-2mm thick, to seal the leaves in place. 5. This is the stage where you can add some glitter if you want to dress it up more. I like to pinch a bit of glitter between my fingers and sprinkle it on like salt, so I can control the amount I end up with and avoid pouring too much by accident. 6. 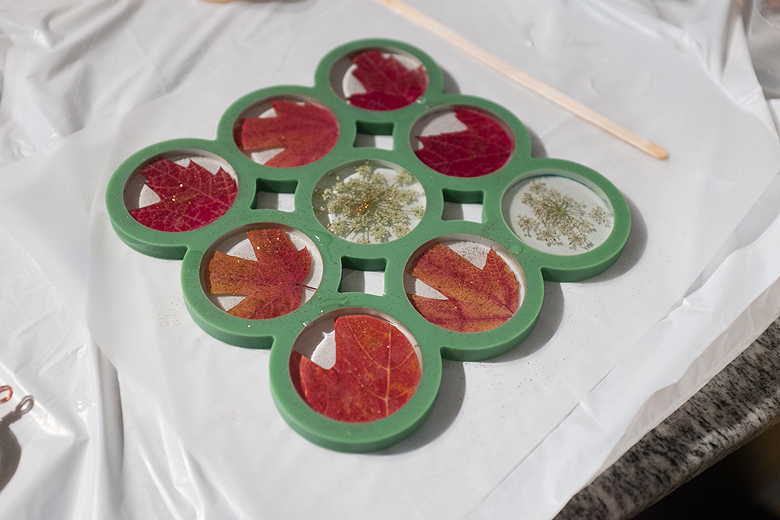 About 2-3 hours later I mixed up another fresh batch of resin and poured it into every circle, this time trying to get the resin level with the top of the trivet. I let this layer cure completely (72 hours). 7. Here is the fun part! Pull off the trivet. 8. 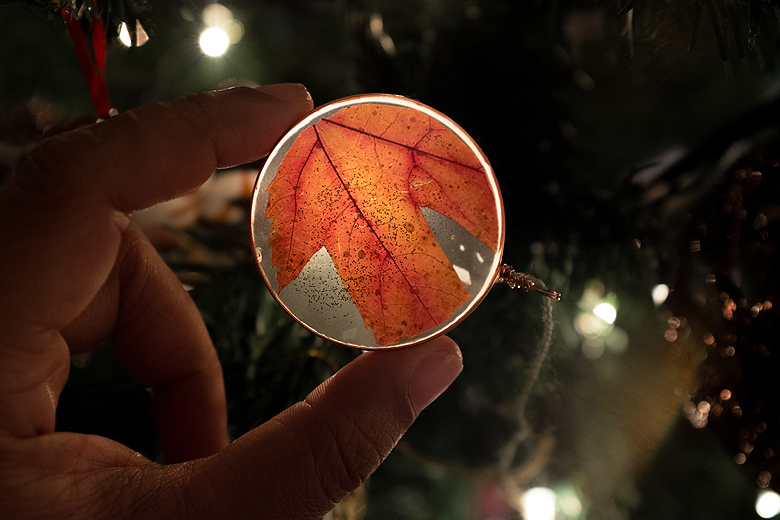 Gently peel the paper off each of your shiny new ornaments. 9. Use them however you like :) you can glue them onto gifts, wrap wire around them to hang, or drill holes in them to run string through. If you enjoyed this tutorial, and you’re curious about what can be done with resin, please check out my book, Resin Jewelry to learn more! 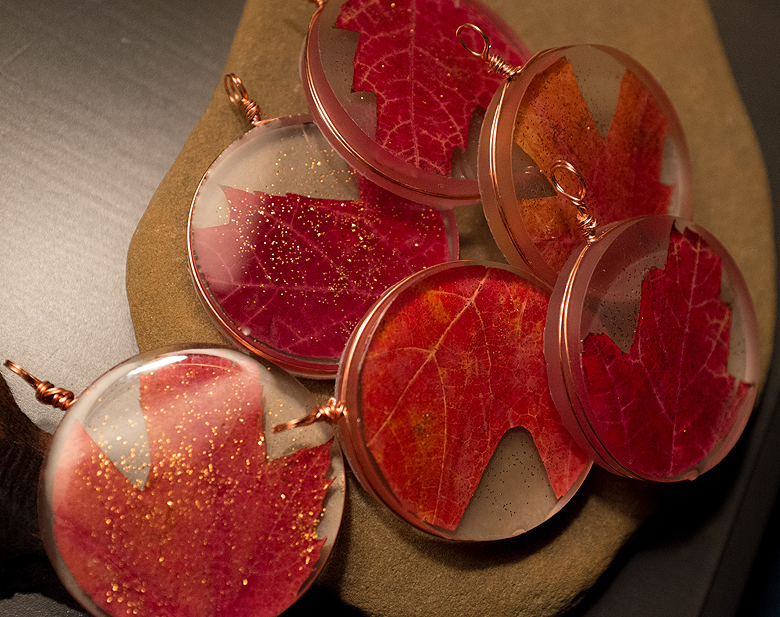 What a lovely idea–they turned out great! Thanks for the tutorial! 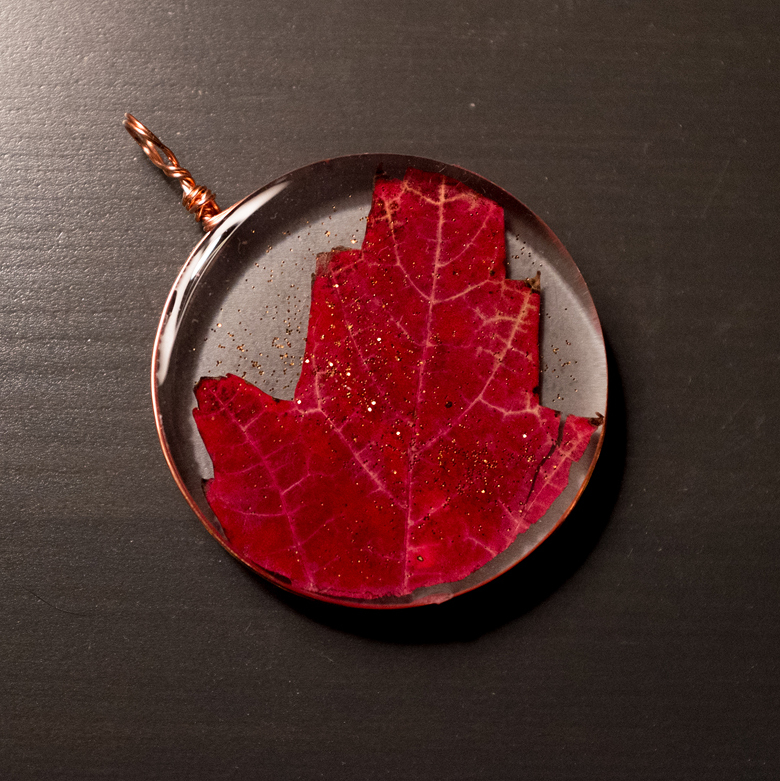 So very lovely… I’ve never worked with resin before, but have always loved the effects others have achieved. These make me very happy – thank you for the tutorial! Thanks everyone ! I’m glad you enjoy them, and if you decide to give them a shot or you have any questions feel free to hit me up! Beautiful tutorial. How do you make your resin? Do you buy the materials online? Sorry if you explained this somewhere on your blog, I haven’t read all posts. Thanks! 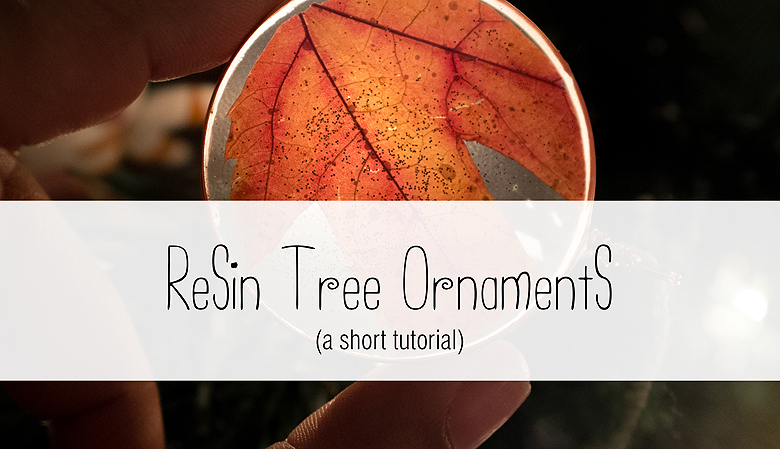 New to using resin- about how many ornaments will an 8oz bottle of Ice Resin make? Thanks! 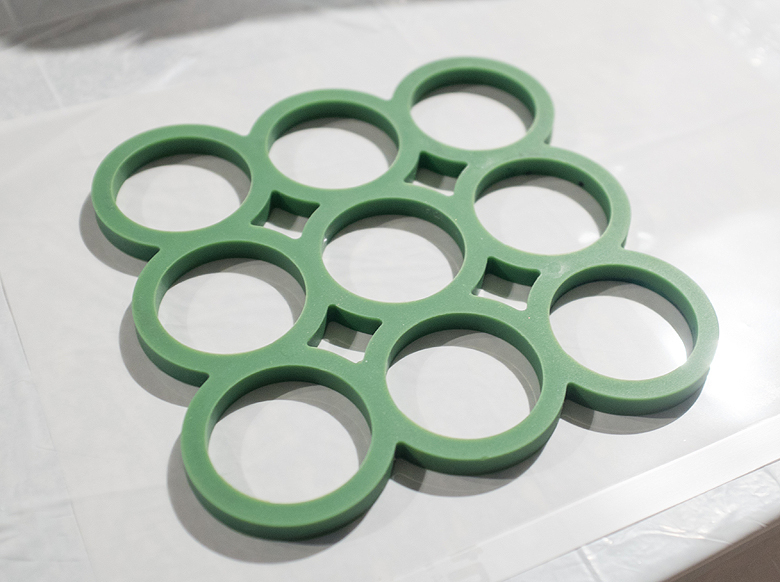 I never hearsd of a silicone trivet before. What a great idea! !